Hello, tokusatsu community! Joshua Perry here to talk about SODO figures on my fortnighly series, SODO Sundays. This time we have some news from the Kamen Rider Build line. Set 6 of Build’s SODO figures releases at the end of February. Bandai has revealed the last few figures joining this set. First up is a rerelease of Blood Stalk. Due to the figure’s rarity in its previous set, it’s a welcome addition to this set. The new Blood Stalk has no difference from his original release. Moving on to the new figures in the set is the newest Build form RabbitTank Hazard. This figure includes the Rabbit half and the Tank half. Even though the figure is mostly black, there are stickers included any way to give some areas more of a textured look. In the new YouTube special Build uses SmaphoWolf Hazard so the SODO line has included the eye pieces needed to swap out and make that form as well. With that the full contents of Build Set 6 are: RabbitTank (SmaphoWolf) Hazard, Build DoctorGame, Kamen Rider Grease, and a rerelease of Blood Stalk. In March Build Set 7 will release and the first figure has been revealed for it. To go along with SmaphoWolf Hazard is the original SmaphoWolf form. Other YouTube special forms such as ToraUFO and RoseCopter will be revealed soon, according to the blog. That’s it for this edition of SODO Sundays! 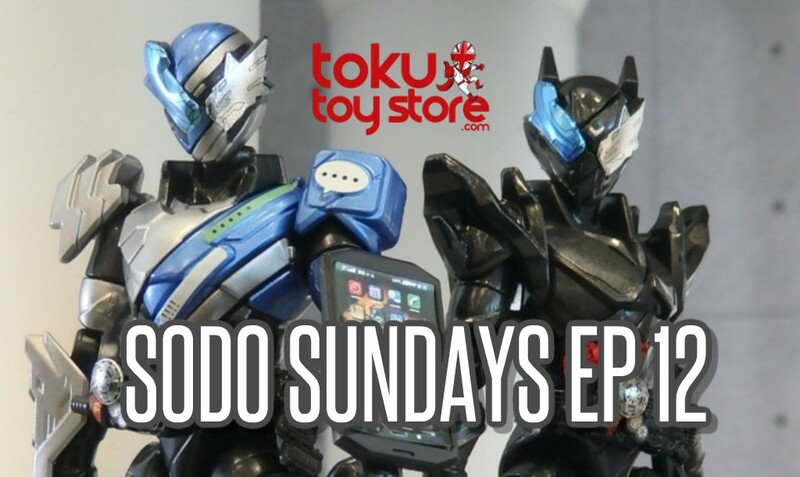 The next edition will release on February 25th on both Toku Toy Store News and YouTube channel. For constant updates on the SODO/SHODO line, go check out the @SODOFountain Twitter page.